The complete details about the Unakoti District Court LDC Admit Card 2019 are available on this page. The Officials of the Unakoti District Court are planning to conduct the LDC Examination in the month of March 2019 for 88 vacancies. In the coming sections of this page, you can find the complete information about Unakoti District Court LDC Call Letter 2019. You can also follow the steps given below to download the hall ticket. Candidates appearing for the Unakoti District Court LDC Examination should download their LDC Hall Ticket 2019. The Officials of the Unakoti District Court announced that the admit cards will release in the month of March 2019. So, aspirants make sure that before attending the examination hall, carry your valid admit card. Also, check the details on the admit card after downloading it. This is a good opportunity for the candidates who are preparing the government jobs. Grab this opportunity and prepare well for the examination. Candidates appearing for the Unakoti District Court LDC Examination should carry some important documents. You Also Can check – Unakoti District Court Recruitment. Candidates who receive the Unakoti District Court LDC Hall Ticket 2019 are advised to check the information present on the hall ticket. The information will be in the following order. Signature of the Examination Counsellor. Instructions to be followed for the Examination. To download Unakoti District Court LDC Call Letter 2019, visit the official website i.e., districts.ecourts.gov.in/unakoti. Now, you will get the home page of the official website. On that home page, you can see different sections on the left side and on the right side of the page latest announcements section is available. Go to the latest announcements section and search for the admit card. If the admit card link is found, then download the admit card. If the admit card link is not found, then go to the search box present on the top of the page. Type for the required admit card, then you will get the admit card link. Click on that link and download the admit card. Fill the details and take hard copies of the admit card. 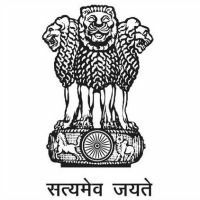 To Download Unakoti District Court LDC Admit Card 2019 – Click Here. For any queries or further information about LDC Hall Ticket 2019, you can contact us at freshersnow.com. We will update the exact dates of the examination and the release of admit cards. Refer our site for other notifications. Thank you.